Today in America TV turns green. Not with envy. Not for St. Patrick’s Day. The award winning cable television program turns green by undertaking a multitude of green energy and sustainable earth practices in the studio and office. 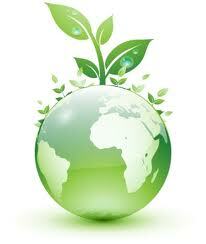 Dedicated to keeping the world as green as possible. Today in America TV producers and staff are green. The studio offices are located in the environmentally conscious city of Coral Springs, Florida, an area where community gardens have sprung up and sustainable living is catching on. The staff of the intriguing television show is proud to have motion sensing lights in the office to save energy as well as being able to use recycled paper cups for morning java. Composting of used coffee grounds and left over food stuffs is a daily occurrence and regular usage of water filters saves the earth of plastic bottles. Change is good and the show is green. Respected sports celebrity Terry Bradshaw is the host of the Today in America TV show. He is well known throughout the nation and a beloved talk show guest. His name inspires others and invokes a smile and a ready laugh from those who’ve enjoyed his genuine personality and great sense of humor. These very qualities are the reasons why Bradshaw has worked in television for over ten years, and as a motivational speaker. He also recently became a spokesperson for Nutrisystem, the weight loss program. Bradshaw, a major supporter to keep kids active and fit, is hosting a youth sports contest through the television show he narrates called “Touchdown with Terry”. The contest will reward the winning entry $10,000 for their sports team. 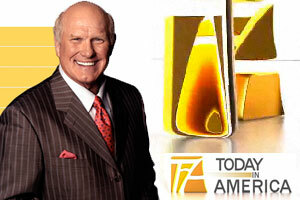 Today in America with Terry Bradshaw is dedicated to airing the most relevant topics for the active professional. Edited in a format that is convenient to watch, the compelling program features stories from successful entrepreneurs, discuss industry breakthroughs and introduces subjects that are fun for families. It is distributed on major cable television networks such as ESPN 2, Fox Business News and CNN Headline News. For more information and to enter the above mentioned contest, please visit the show’s Facebook.